Learn about the exciting world of today's Human Resource Management and prepare for the PHR ® Exam throughout this online course. This HR management course weaves together solid human resource principles, timely research and recent events, such as the latest rise in unemployment and financial problems facing the U.S. and other countries. This course highlights important challenges facing managers and employees in today's business climate. Interesting case studies explore real companies and organizations in-depth and delve into some of today's most effective, unique approaches in dealing with HR issues. In addition, this course provides study materials to help prepare for the PHR ® Exam. The PHR ® Exam Study Guide will be utilized throughout the course to supplement the Human Resource Management textbook and provide review materials for exam prep. 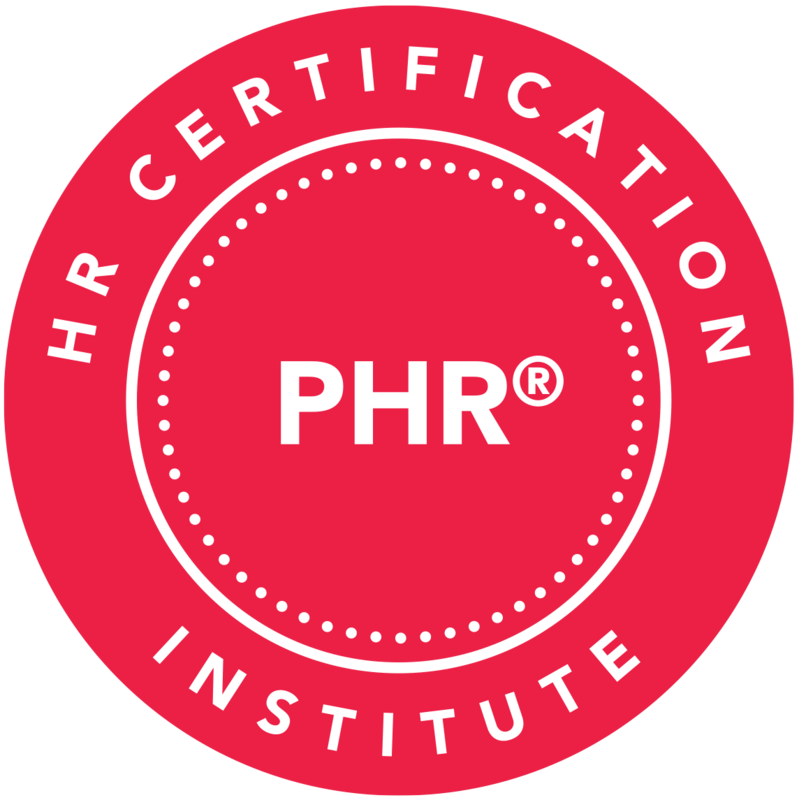 Upon completion of this course, students will have the skills necessary to serve as Human Resource Managers, as well as the preparation needed to sit for the PHR ® (or SPHR ®) exam. define Human Resource Management (HRM) and each of its major functions and processes. identify the aspects of strategic HR planning, including environmental scanning, labor market analysis and forecasting, internal analysis and forecasting, gap analysis, HR plan and strategy development, and HR strategy and implementation. conduct a job analysis and write a job description and specifications that are conducive to recruitment, selection, training, evaluation, and compensation. identify sources for attracting and recruiting talent, internal and external applicant sources, laws pertaining to recruitment, and recruitment strategies. Students will describe and evaluate employee selection tools, laws and regulations governing selection, and the benefits and risks of effective and ineffective selection. Students will define and identify the dimensions of work performance using a holistic approach, list the outcomes of effective appraisal, and describe commonly used appraisal method. define the terms "training" and "development", describe a systematic approach to the training and development including its features, list and describe various forms of training, and identify factors and decisions that should be considered in creating and implementing training. apply motivation theories, structures and types of pay, and HR laws to design a pay and reward system. list and describe types of benefits that organizations offer. Identify laws and policies that directly relate to equal opportunity, diversity, and the role of unions. 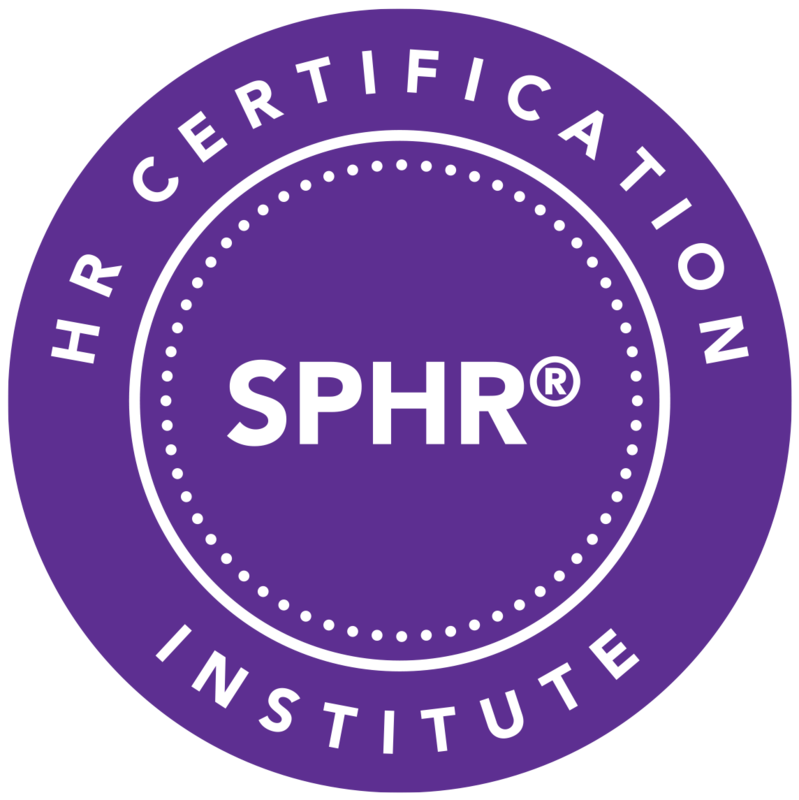 This course prepares a student to take the HR Certification Institute ® (HRCI ®) PHR ® (or SPHR ®) certification exam. This lesson will provide an introduction to Human Resource management, and the various roles of the HR professional. In addition, this lesson will explore aspects of strategic HR planning, including environmental scanning, labor market analysis and forecasting, internal analysis and forecasting, gap analysis, HR plan and strategy development, and HR strategy and implementation. This lesson will provide an overview of equal employment and discrimination issues. In addition to an overview of the primary issues related to equal employment and discrimination, this lesson will discuss legal considerations, health and safety, diversity, demographics, and globalization. This lesson will discuss job analysis and job design and how they are used to allow an HR Manager to design positions and tasks, recruit, compensate and evaluate, and supervise. This lesson we will explore a variety of recruitment sources, discuss the importance of effective recruitment, and link recruitment to strategic HRM. Additional topics include effective employee selection, employee selection tools and their validity and reliability, legal issues in employee selection, and trends, opportunities, and challenges in employee selection. This lesson will explore the concepts of training and development, HRM approaches to training and development, and the various forms of training and development. This lesson will discuss the use of a holistic approach to defining and assessing work performance as well as the outcomes, trends, and methods of performance evaluations. This lesson will discuss pay and benefits as critical factors in the attraction, motivation, and retention of talent. Specifically, this topic will discuss several psychological principles at work in the motivational role of pay and rewards, including Content Perspectives, process and equity perspectives, and behavioral perspectives. This lesson will also discuss the most frequently used types of pay, including hourly pay, piece-rate pay, competency-based pay, outcome-based incentives, salaries and exempt positions, team-based pay, independent contractors, and executive pay. This lesson will explore the types of benefits organizations may offer, the legal issues and policies impacting the provision of benefits, and how benefits impact the pay/benefits package. This lesson will provide a comprehensive overview of risk management, worker protection, and employee relations. In addition to a discussion of health, safety and security, individuals will learn about disaster preparation, recovery planning, and employee discipline. In this lesson, participants will learn about union/management relations and grievances. Labor laws and the unionization process will be discussed. In addition, this lesson will provide an overview of collective bargaining issues and the collective bargaining process. Upon completion of this lesson, individuals will be prepared to perform union-related human resource functions. aPHR™, PHR®, PHRca®, SPHR®, GPHR®, PHRi™ and SPHRi™ are all registered trademarks of HR Certification Institute.